Access: Parking for several cars in front of conservation sign off Wattaquadock Hill Road about 1/2 mile south of the West Berlin Road intersection. Alternative access is via a trail easement (Philbin Solomon Trail) off West Berlin Road a ¼ mile south of the intersection of Wattaquadock Hill and West Berlin Road on the westerly side. Description: The main attraction is the kettle hole bog, which hosts carnivorous plants such as pitcher plants and sundew. The hike into the bog is over wooded ledge. This area was purchased by the town in 1980. The pond provides valuable wildlife habitat (heron and ducks frequent the open water) while the surrounding bog mat is home to unusual pitcher and sundew plants. The craggy ledge of the upland offers a nice view down the pond. The pond can be accessed from the Philbin Salmon Trail; enter ¼ mile up West Berlin Road from Wattaquadock Hill Road. Follow this well-used cart path, turning left as it approaches the pond. Please be aware most of this trail route is across easement area and respect those residents who call Sunset Ridge home. 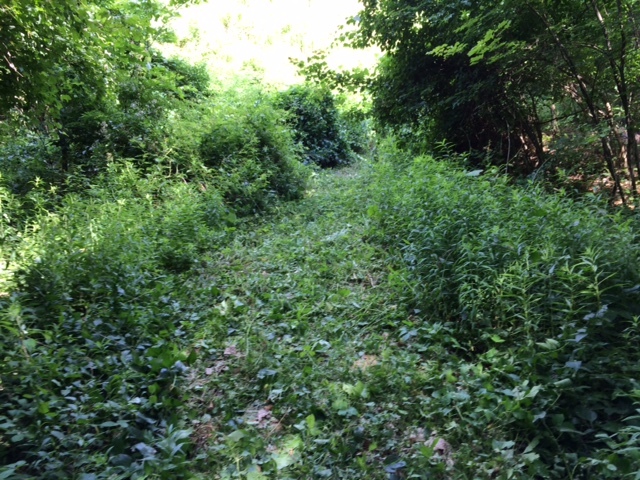 6.23 – Gordon Taylor has been working to keep both the main parking area and the trail into Welch Pond from Wattaquadock Hill clear. Thank you Gordon!